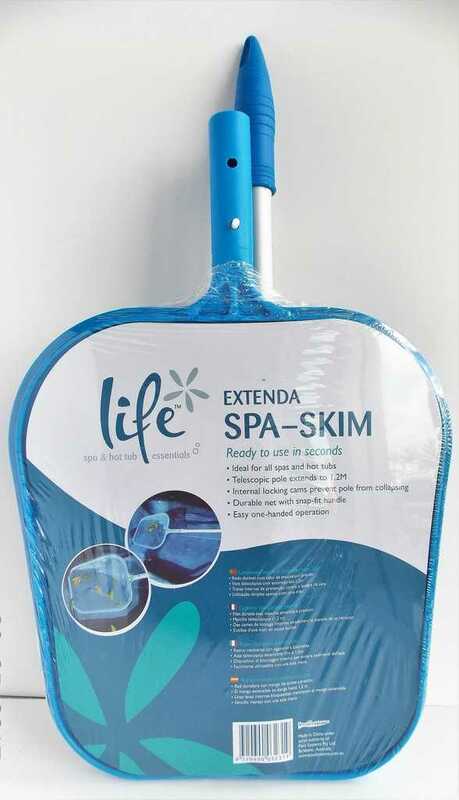 Ideal for all spas and hot tubs. Telescopic pole extends to 1.2M. Internal locking cams prevent pole from collapsing. Durable net with snap-fit handle. Easy one-handed operation.